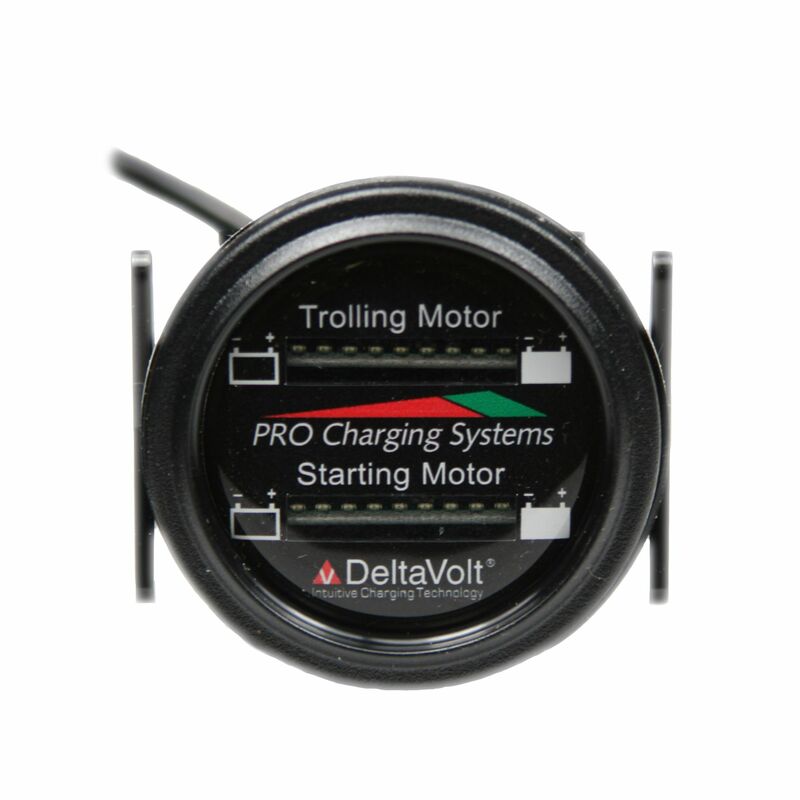 The Pro Charging Systems Dual Battery System Fuel Gauge (BFGWOM1512V/12V) is designed for a 12v Trolling Motor Battery Pack, and a 12v Starting Battery Pack. 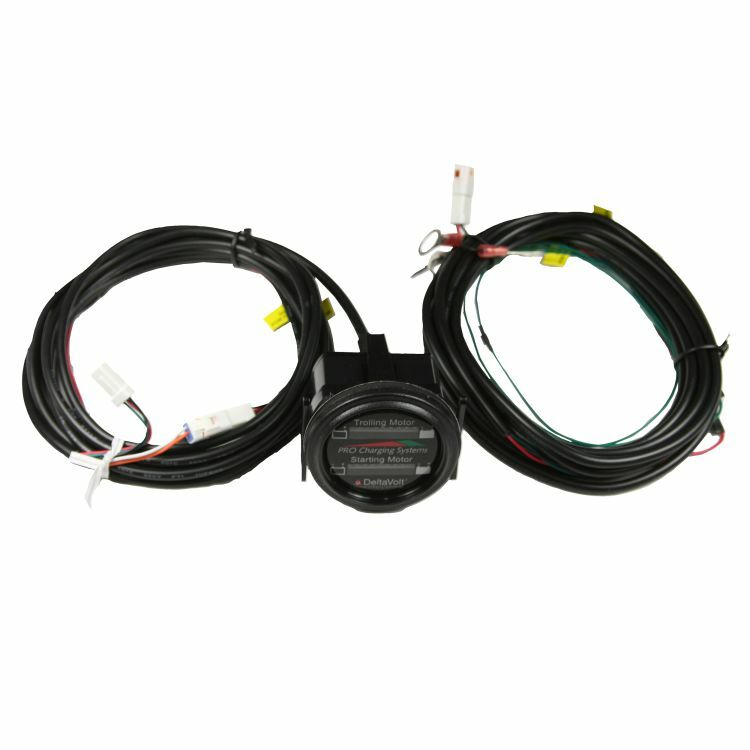 The battery fuel gauge solves one of the most common complaints about battery status indicators currently on the market today. Most battery status indicators are not accurate and many are not reliable, and many employ old technologies. 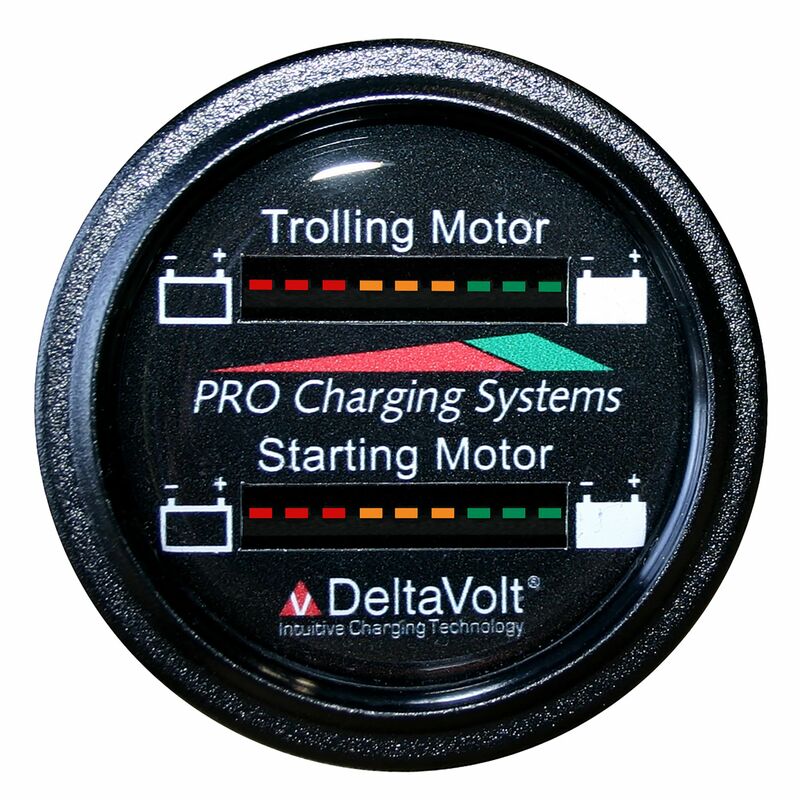 The new Pro Charging Systems Battery Fuel Gauge changes the paradigm. Think the old “Motorola Brick Phone” from the late 1980’s versus today’s I-Phone. The new Pro Charging System (PCS) battery fuel gauge measures the battery’s energy state with precision and accurately displays the information more like a traditional fuel gauge. The display is easy to read and understand. In addition, the installation of the product is quite simple. This Battery Fuel Gauge is equipped with wireless capability that allows it to communicate with most handheld smart phones or tablets. In order to utilize this feature, simply go to either the App Store or Google Play and search for DeltaView Link. The app is free and contains real time data which displays battery state of charge as well as actual battery voltage. *Wireless Communication - Battery Fuel Gauge is equipped with wireless capability that allows it to communicate with most handheld smart phones or tablets. Do you own the BFGWOM1512V/12V? Please, tell us what you think about it. It helps us provide you with better products. Please note that it may take up to 72 hours for your review to appear.